InLace™ is a thick liquid inlay designed to be incorporated into any wood project and is also an ideal choice for good crafter's. Simply pour in InLace™ and wait until hard. 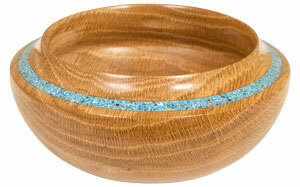 Hardened InLace™ can be turned, carved, planed, routed or sanded. Will not dull tools or load sandpaper. Non-toxic when hard, InLace™ is food safe. InLace Kits are available in ten pre-mixed custom colors. Each InLace Kit contains one can of InLace resin, one bottle of hardener, instructions, one and three ounce measuring cups, and stirrers. Two ounces of InLace is sufficient to create fifteen linear feet of 1/8" x 1/8" InLace inlay. InLace™ Metallic Dusts are available in seven colors. They can be added to any of the InLace Kits, and add a metallic glittery effect to the color and texture of final inlay finish. The extent of this 'glittery' effect is completely controllable and customizable. InLace™ Metallic Dust can be added in any amount desired. The final effect can offer just a hint of sparkle and glitter, or can be easily designed to be quite pronounced. As with all of the additives, the artisan has complete control over the addition of material and the resulting visual impact. InLace Metallic Dyes are available in seven colors. They impart a shimmering metallic luster to Inlace. As with all InLace Dyes, they are most often used with the Clear Kits. Complete control and customization of the color and texture of the inlay is possible with the Clear Kits. InLace Pearl Dyes are available in five colors. The pearl dyes add a soft understated pearlescent coloring, and are typically used with the Clear Inlace Kits. These dyes result in a unique shimmering pearlescent finish. InLace Solid Color Dyes are available in nine colors. 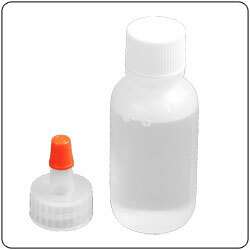 They are most typically used with the Clear Inlace Kits. Solid Color Dyes can be used to create a solid color, or used as a base to which additional additives are mixed. 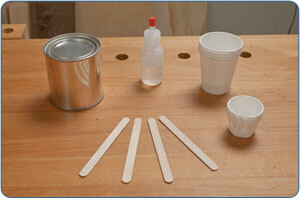 Two compounds are offered for the final buffing and polishing of InLace inlay material. 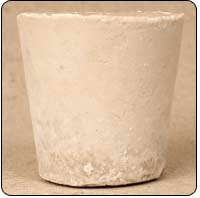 After the mixture has cured, the material should be sanded smooth, and flush with the surface of the work, working through finer and finer grits of abrasives. Then the Buffing Compound, followed by the Polishing Compound, should be used to bring out the true luster of the Inlace finish. 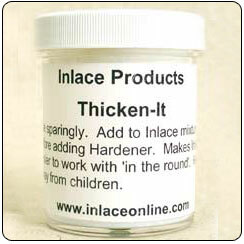 Thicken-It is very helpful for artisans that are working 'in the round', such as pool cue makers, flute makers, and for anyone working inlay designs around bowls. Thicken-It is added to the final mixture just before adding the Hardener and proceeding with the inlay. 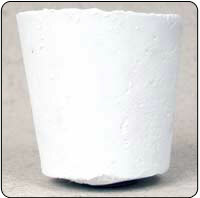 The addition of Thicken-It makes the material more viscous, and therefore thicker and easier to control. Please note that a little bit goes a long way, and it should be added sparingly. Gradually, the craftsman will gain a feel for the correct amount to add for their specific needs and projects. Inlace Hardener is when the resin is ready to be inlaid, either as is or further blended with InLace additives, the hardener is added to the mixture.